You are currently browsing the tag archive for the ‘Estelle DeRidder’ tag. BAGSC gathered at the Madrona Marsh Nature Preserve in Torrance for the January meeting to feature the ongoing mural project of BAGSC member Estelle DeRidder. 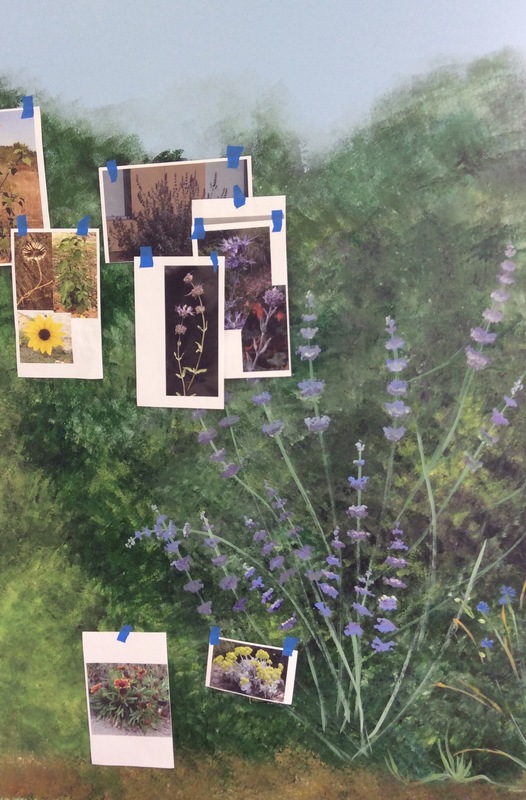 The interior of the meeting room walls in the Madrona Marsh Interpretive Center have been filled with Estelle’s paintings of the plants, animals and insects found in Marsh. She has spent countless hours capturing each plant in its native environment. The meeting was highlighted by featuring Estelle as our guest speaker, adding her wit and wisdom in starting and continuing this ambitious project. In addition to discussing her process and goals, Estelle also spoke about the challenges of creating such a large work, including determining scale, practical techniques, and interesting visitors (of the human, insect and avian varieties). Our sincere thanks go out to Estelle for bringing BAGSC to the attention of Madrona Marsh. Estelle’s mural can be viewed in the Interpretive Center, Tuesday through Sunday, 10:00 a.m. to 5:00 p.m. Additional thanks goes to Tracy Drake, Park Services Manager, Community Services Department, City of Torrance; Hilary and Dave Jamieson; and, Lance Hill for his wonderful photographs of the meeting. The Marsh is located at: 3201 Plaza del Amo, Torrance, CA 90503. Click on any image below to see larger images in a slide show format with full captions for each photo. BAGSC members chatting as they arrive to the meeting. In the photo are: Tania Marien, Tania Norris, Jude Wiesenfeld, Cynthia Jackson, Estelle DeRidder, Terri Munroe, Mary Sinclair, Bonnie Born Ash, Kathlyn Powell, Leslie Walker and Deborah Shaw. BAGSC Quarterly Meeting at Madrona Marsh Nature Center. © 2018, Lance Hill. Editorial or promotional use permitted for electronic or printed media by the Botanical Artists Guild of Southern California and the Friends of Madrona Marsh. Please provide photo credit to Lance Hill. Kat Powell at the BAGSC Quarterly Meeting at Madrona Marsh Nature Center. © 2018, Lance Hill. Editorial or promotional use permitted for electronic or printed media by the Botanical Artists Guild of Southern California and the Friends of Madrona Marsh. Please provide photo credit to Lance Hill. Tania Norris at the BAGSC Quarterly Meeting at Madrona Marsh Nature Center. © 2018, Lance Hill. Editorial or promotional use permitted for electronic or printed media by the Botanical Artists Guild of Southern California and the Friends of Madrona Marsh. Please provide photo credit to Lance Hill. Veronica Raymond at the BAGSC Quarterly Meeting at Madrona Marsh Nature Center. © 2018, Lance Hill. Editorial or promotional use permitted for electronic or printed media by the Botanical Artists Guild of Southern California and the Friends of Madrona Marsh. Please provide photo credit to Lance Hill. BAGSC President Janice Sharp at the BAGSC Quarterly Meeting at Madrona Marsh Nature Center. © 2018, Lance Hill. Editorial or promotional use permitted for electronic or printed media by the Botanical Artists Guild of Southern California and the Friends of Madrona Marsh. Please provide photo credit to Lance Hill. Kathlyn Powell (front) and Tania Marien at the BAGSC Quarterly Meeting at Madrona Marsh Nature Center. © 2018, Lance Hill. Editorial or promotional use permitted for electronic or printed media by the Botanical Artists Guild of Southern California and the Friends of Madrona Marsh. Please provide photo credit to Lance Hill. Hilary Jamieson (Madrona Marsh staff member) at the BAGSC Quarterly Meeting at Madrona Marsh Nature Center. © 2018, Lance Hill. Editorial or promotional use permitted for electronic or printed media by the Botanical Artists Guild of Southern California and the Friends of Madrona Marsh. Please provide photo credit to Lance Hill. Tracy Drake, Park Services Manager, Community Services Department, City of Torrance gave a presentation and introduced Estelle at the BAGSC Quarterly Meeting at Madrona Marsh Nature Center. © 2018, Lance Hill. Editorial or promotional use permitted for electronic or printed media by the Botanical Artists Guild of Southern California and the Friends of Madrona Marsh. Please provide photo credit to Lance Hill. Front to back: Leslie Walker, Deborah Shaw, Tania Norris at the BAGSC Quarterly Meeting at Madrona Marsh Nature Center. © 2018, Lance Hill. Editorial or promotional use permitted for electronic or printed media by the Botanical Artists Guild of Southern California and the Friends of Madrona Marsh. Please provide photo credit to Lance Hill. Hilary Jamieson (Madrona Marsh staff member) and her father Dave Jamison, a Marsh volunteer, at the BAGSC Quarterly Meeting at Madrona Marsh Nature Center. © 2018, Lance Hill. Editorial or promotional use permitted for electronic or printed media by the Botanical Artists Guild of Southern California and the Friends of Madrona Marsh. Please provide photo credit to Lance Hill. BAGSC President Janice Sharp presiding over the meeting at the BAGSC Quarterly Meeting at Madrona Marsh Nature Center. © 2018, Lance Hill. Editorial or promotional use permitted for electronic or printed media by the Botanical Artists Guild of Southern California and the Friends of Madrona Marsh. Please provide photo credit to Lance Hill. Jude Wiesenfeld, BAGSC Education Chair, presenting information about upcoming workshops at the BAGSC Quarterly Meeting at Madrona Marsh Nature Center. © 2018, Lance Hill. Editorial or promotional use permitted for electronic or printed media by the Botanical Artists Guild of Southern California and the Friends of Madrona Marsh. Please provide photo credit to Lance Hill. Olga Ryabstova, BAGSC Exhibitions Chair, presenting information about upcoming exhibition opportunities at the BAGSC Quarterly Meeting at Madrona Marsh Nature Center. © 2018, Lance Hill. Editorial or promotional use permitted for electronic or printed media by the Botanical Artists Guild of Southern California and the Friends of Madrona Marsh. Please provide photo credit to Lance Hill. (L to R) BAGSC Vice President Diane Daly, Mary Sinclair and Terri Munroe at the BAGSC Quarterly Meeting at Madrona Marsh Nature Center. © 2018, Lance Hill. Editorial or promotional use permitted for electronic or printed media by the Botanical Artists Guild of Southern California and the Friends of Madrona Marsh. Please provide photo credit to Lance Hill. Andrea Lofthouse-Quesada at the BAGSC Quarterly Meeting at Madrona Marsh Nature Center. © 2018, Lance Hill. 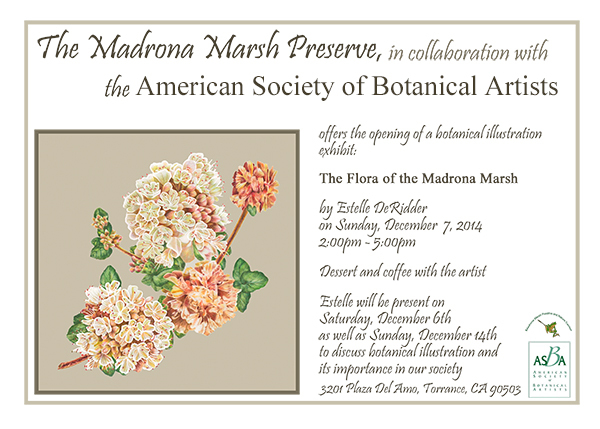 Editorial or promotional use permitted for electronic or printed media by the Botanical Artists Guild of Southern California and the Friends of Madrona Marsh. Please provide photo credit to Lance Hill. Incoming BAGSC Education Chair, Teri Kuwahara at the BAGSC Quarterly Meeting at Madrona Marsh Nature Center. © 2018, Lance Hill. Editorial or promotional use permitted for electronic or printed media by the Botanical Artists Guild of Southern California and the Friends of Madrona Marsh. Please provide photo credit to Lance Hill. Janice Sharp (L) and Jude Wiesenfeld (R) at the BAGSC Quarterly Meeting at Madrona Marsh Nature Center. © 2018, Lance Hill. Editorial or promotional use permitted for electronic or printed media by the Botanical Artists Guild of Southern California and the Friends of Madrona Marsh. Please provide photo credit to Lance Hill. Estelle DeRidder and Tracy Drake at the BAGSC Quarterly Meeting at Madrona Marsh Nature Center. © 2018, Lance Hill. Editorial or promotional use permitted for electronic or printed media by the Botanical Artists Guild of Southern California and the Friends of Madrona Marsh. Please provide photo credit to Lance Hill. Diane Daly (L) and Leslie Walker (R) at the BAGSC Quarterly Meeting at Madrona Marsh Nature Center. © 2018, Lance Hill. Editorial or promotional use permitted for electronic or printed media by the Botanical Artists Guild of Southern California and the Friends of Madrona Marsh. Please provide photo credit to Lance Hill. Estelle DeRidder (L) and Olga Ryabstova (R) at the BAGSC Quarterly Meeting at Madrona Marsh Nature Center. © 2018, Lance Hill. Editorial or promotional use permitted for electronic or printed media by the Botanical Artists Guild of Southern California and the Friends of Madrona Marsh. Please provide photo credit to Lance Hill. Terri Munroe (L) and Tracy Drake (R) at the BAGSC Quarterly Meeting at Madrona Marsh Nature Center. © 2018, Lance Hill. Editorial or promotional use permitted for electronic or printed media by the Botanical Artists Guild of Southern California and the Friends of Madrona Marsh. Please provide photo credit to Lance Hill. Kat Powell (L) and Janice Sharp (R) at the BAGSC Quarterly Meeting at Madrona Marsh Nature Center. © 2018, Lance Hill. 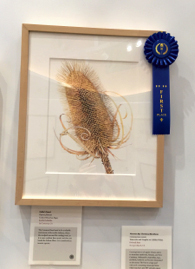 Editorial or promotional use permitted for electronic or printed media by the Botanical Artists Guild of Southern California and the Friends of Madrona Marsh. Please provide photo credit to Lance Hill. Estelle has pulled the outdoors “in” and the windows frame the view outside as artwork. Photo by Tania Marien, © 2018. Estelle discussing the challenges of painting the mural. Photo by Jude Wiesenfeld, © 2018. After the presentation, BAGSC members enjoyed a tour of the Marsh. Photo by Tania Marien, © 2018. Signage along the Marsh tour. Photo by Jude Wiesenfeld, © 2018. After the presentation, BAGSC members enjoyed a tour of the Marsh. BAGSC President Janice Sharp points out (?). Photo by Tania Marien, © 2018. Photo from the Friends of Madrona Marsh website. Photo credits: Tracy Drake, Mark Comon, Mike Griffiths and Suzan Hubert. 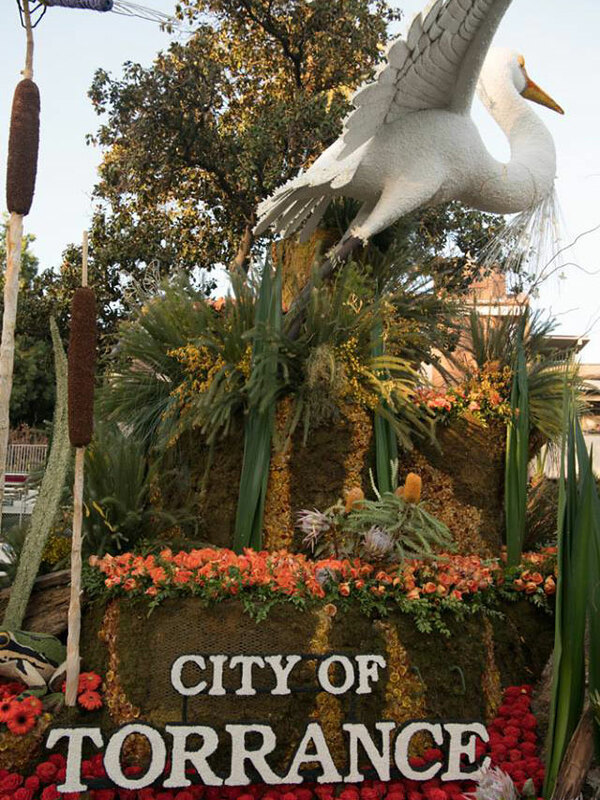 Congratulations to the City of Torrance and the Madrona Marsh, winner of the Rose Parade’s Mayor Award for the most outstanding float submitted by a city! “Making a Difference” was the theme for the 128th Rose Parade. Gary Senise was The Grand Marshal—the actor is best known for his portrayal as Lt. Dan in “Forrest Gump,” as well as his ongoing work with veterans. Tournament of Roses’ Judges awarded twenty-four floats with official honors in a variety of categories. The Madrona Marsh Preserve makes a difference in the City of Torrance. The Marsh was highlighted in this year’s Tournament of Roses float, “Protecting Nature… The Madrona Marsh Preserve“. The Torrance Rose Float Association Committee selected the theme from designs submitted by Torrance high school students during their annual design contest earlier this year. Come get a first-hand look at the Marsh that inspired the float! Our first BAGSC quarterly meeting of 2018 will be a special day. On Saturday, January 13, 2018, we will be meeting at the Madrona Marsh, in the Nature Center to see the amazing mural created by our member Estelle DeRidder. 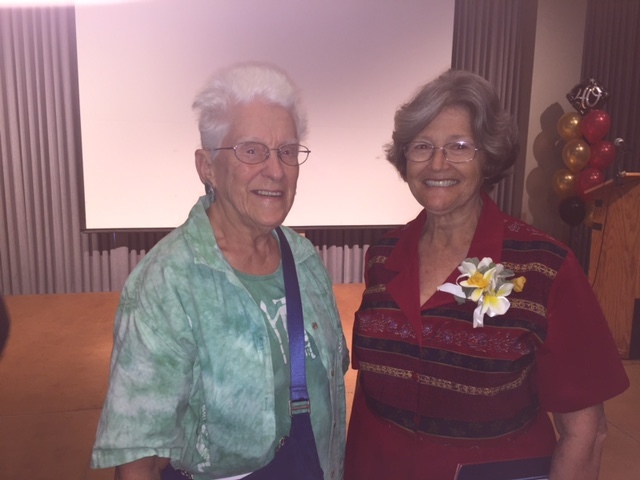 Estelle was recently honored by the City of Torrance for her work. She will talk to us about her ongoing work at the Madrona Marsh, from her initial project and grant from the ASBA, to the process she is using to create this record of plant and animal life at the marsh. Following Estelle’s presentation and a brief break for a BYO sack lunch, we will head across the street for a guided tour of the marsh and an open-ended time to sketch. Read about Estelle’s work and the awards from the City of Torrance Arts Commission in other articles on the BAGSC Blog. Coffee will be at 9:30, followed by our business meeting before our program begins. Please plan to wear walking shoes, hat and weather appropriate clothes, bring your sack lunch (coffee, tea and water available), and your sketching supplies, including a small stool if you would like. RSVP to Clara Josephs or email her with any questions. The Madrona Marsh Preserve is located at 3201 Plaza del Amo, Torrance, CA 90503. Estelle DeRidder receiving her award. Photo by Kathlyn Powell, © 2017. 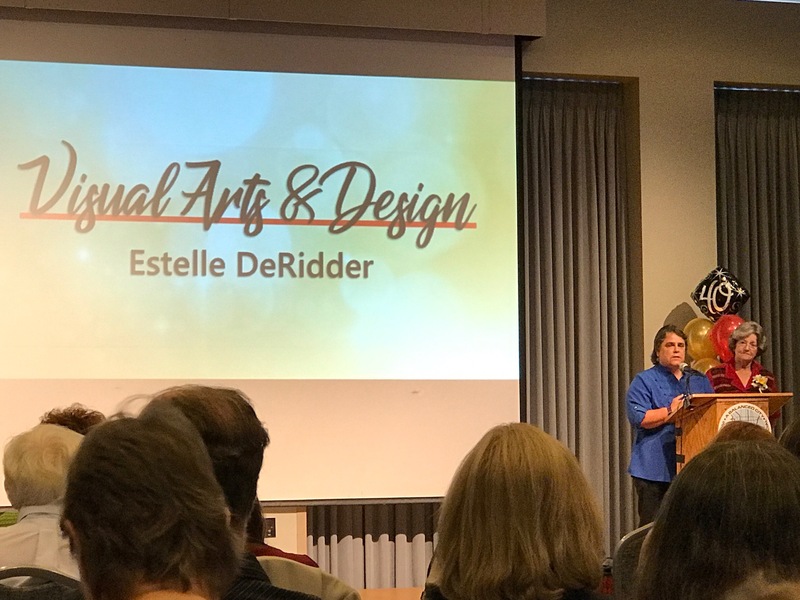 The City of Torrance Cultural Arts Commission awarded Estelle DeRidder an Excellence in Arts Award on October 21, 2017, in Visual Arts & Design for her extraordinary work in botanical art for the Madrona Marsh and for bringing-the-outdoors-in with her murals on the walls of the city’s Madrona Marsh Interpretive Center. Each year the City honors individuals Excellence in Arts Awards in four categories: Dance, Music, Visual Arts & Design, Drama & Theater Arts. Two memorial awards are given as well, named in honor of two distinguished citizens: the Dr. Tom Rische Arts Education Award and the (former Mayor) Katy Geissert Award. 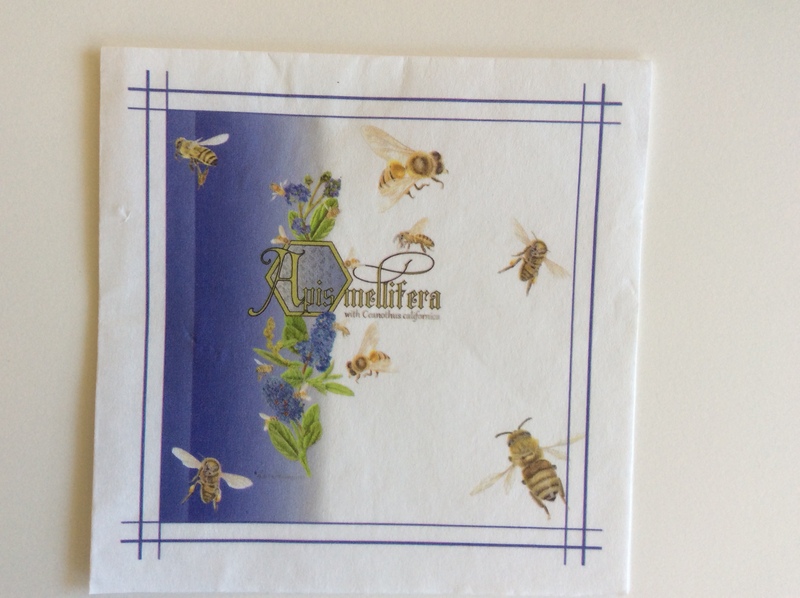 Educational napkin at the award ceremony, with artwork by Estelle DeRidder. Photo by Leslie Walker, © 2017. BAGSC members Teri Kuwahara, Kathlyn (Kat) Powell, Janice Sharp, Beth Stone, and Leslie Walker, and Estelle’s family were on hand to see Estelle accept the award. The City put together a beautiful video about Estelle and the mural project at the Madrona Marsh Nature Preserve. The video was beautifully done and very impressive. BAGSC is planning to show it at our BAGSC Holiday Party on December 9 if possible, so members who weren’t able to attend the ceremony can see it. After the awards ceremony, BAGSC members went over to look at the mural. Photos by Beth Stone, © 2017. Mural by Estelle DeRidder. Photo by Beth Stone, © 2017. Leslie Walker (L) and Estelle DeRidder (R). Photo by Teri Kuwahara, © 2017. Estelle was awarded a grant from ASBA in 2012 for her Madrona Marsh project. At the 2017 ASBA Conference in San Francisco this past October, ASBA Grants Committee Chairperson Myra Sourkes opened the Grants Presentation with a presentation of Estelle’s work and her accomplishments, with a hearty congratulations from all ASBA members in attendance. And more Madrona Marsh coverage to come! Unfortunately, Estelle won’t be able to join us at the BAGSC Holiday Party: a local television station will be interviewing her about the mural on Saturday, December 9. We will find out when the interview will be aired and on which station as soon as possible, and let everyone know. Estelle’s family came to the award ceremony. Photo by Leslie Walker, © 2017. The City of Torrance Cultural Arts Commission has announced their 2017 Excellence in Arts Awards. The City honors individuals each year in four categories: Dance, Music, Visual Arts & Design, Drama & Theater Arts and two memorial awards named in honor of two distinguished citizens: the Dr. Tom Rische Arts Education Award and the (former Mayor) Katy Geissert Award. Estelle DeRidder adding details to the mural. Photo by Leslie Walker, © 2017. This year, BAGSC member Estelle DeRidder will be honored with the Visual Arts & Design Award, no doubt for her tireless work at the city’s Madrona Marsh Interpretive Center. BAGSC member Estelle DeRidder continues to work on her murals at the Madrona Marsh Preserve and Nature Center in Torrance, California. And as promised, we’re bringing you updates. 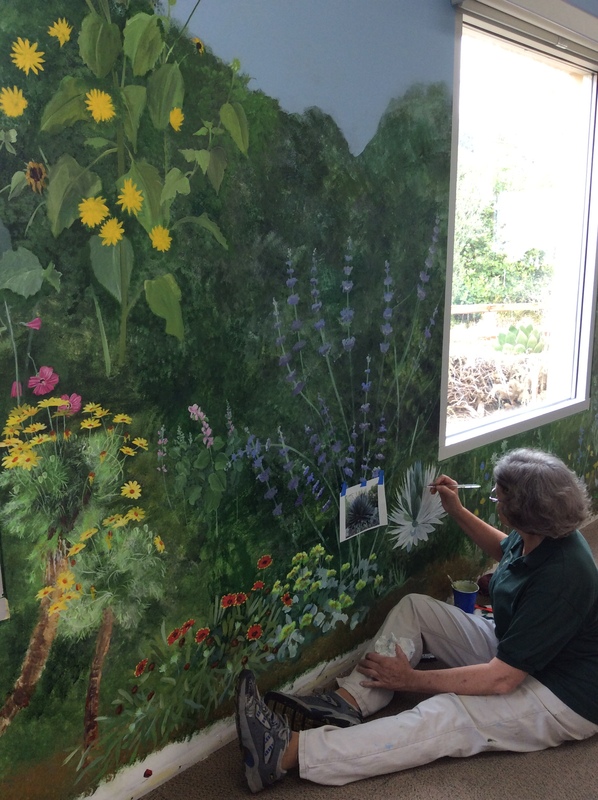 Estelle is adding more plants and details to the murals, bringing the outdoors garden inside. You can visit Estelle and the mural at the Madrona Marsh Preserve and Nature Center in Torrance, California. The Madrona Marsh is located at 3201 Plaza del Amo, Torrance, CA 90503, 310-782-3989. The Madrona Marsh is open free to the public, Tuesday through Sunday from 10:00 am to 5:00 pm, excluding holidays. Because most of the Marsh is staffed by volunteers, and because weather can be a factor, the times the Marsh and Nature Center is open is subject to change. Please call (310) 782-3989 before visiting to make sure the Marsh is open. If you missed the first post about Estelle’s mural, you can read it here on our BAGSC News blog. The background and basic plant shapes are blocked in. Notes and reference photos are taped on the beginnings of the mural. Photo by Leslie Walker, © 2017. 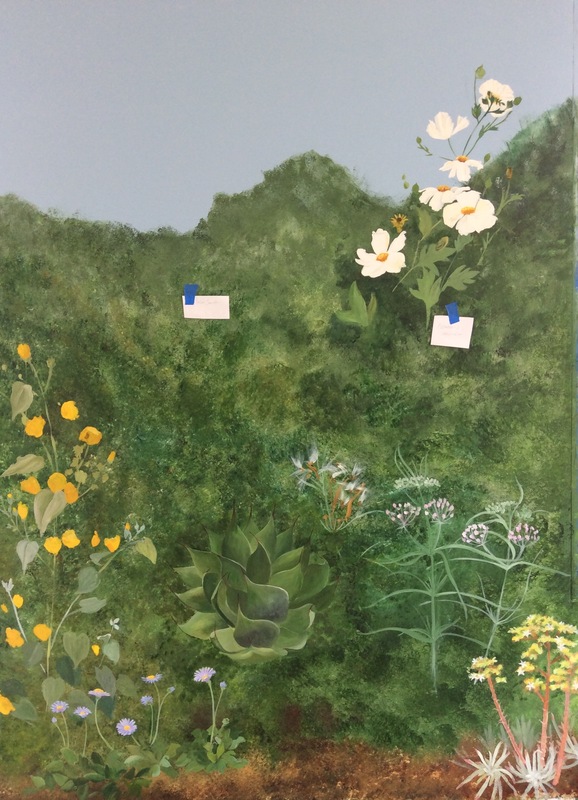 BAGSC member Estelle DeRidder has been painting a mural at the Madrona Marsh Preserve and Nature Center in Torrance, California. She has been working on the wall for the past couple of weeks, but has done a great deal of planning previously. I have been following the progress of the mural. The first time I saw it, the background was in and Estelle was beginning to paint in the big plants, but I couldn’t take any pictures as I had forgotten my iPad. This past weekend, there were many more plants blocked in, and places were earmarked where more plants would go. I will be keeping everyone up-to-date about Estelle’s botanical mural as the work progresses. More plants will continue to be blocked in, after which details will be added, including insects, animals and birds. Another section of the mural, with reference photos. Photo by Leslie Walker, © 2017. Another section of the mural. Photo by Leslie Walker, © 2017. As part of the 9th California Island Symposium, the Island Art Exhibition now moves from the Ventura Beach Marriott to the Santa Barbara Botanic Garden. The public is invited to the opening reception of the Island Art Exhibition at the Pritzlaff Conservation Center at the Santa Barbara Botanic Garden on October 11 from 6 – 7:30 pm. Guests will be able to enjoy the art and views of the Channel Islands. Light appetizers and refreshments will be served. The event is free, but registration is required. The exhibition will be on display at the Garden from October 11 through November 6, 2016. 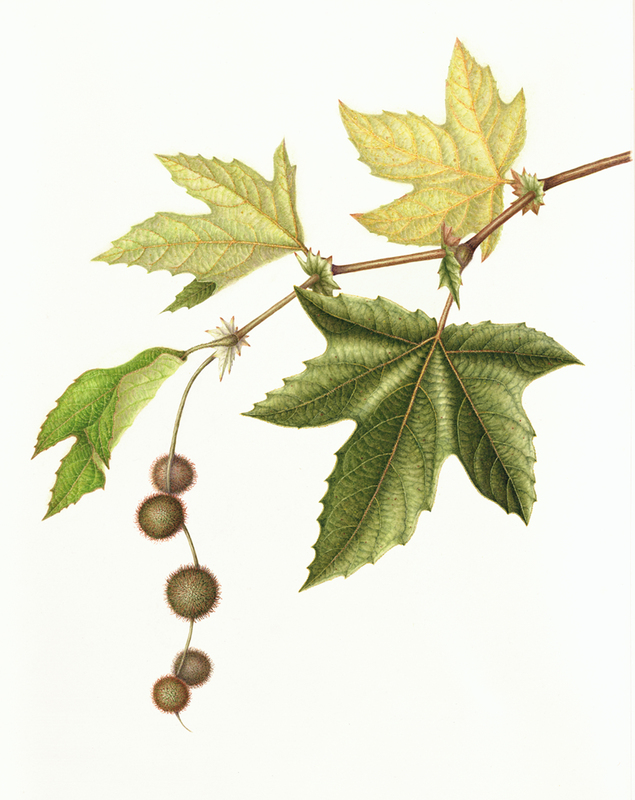 Plantanus racemosa, California Sycamore, Watercolor by Mitsuko Schultz, © 2016, all rights reserved. First place went to an acrylic painting by Marcia Burtt that depicts Prisoners Harbor on Santa Cruz Island. Nicole Strasburg won second place with a gouache etching of Scorpion Valley on Santa Cruz Island. 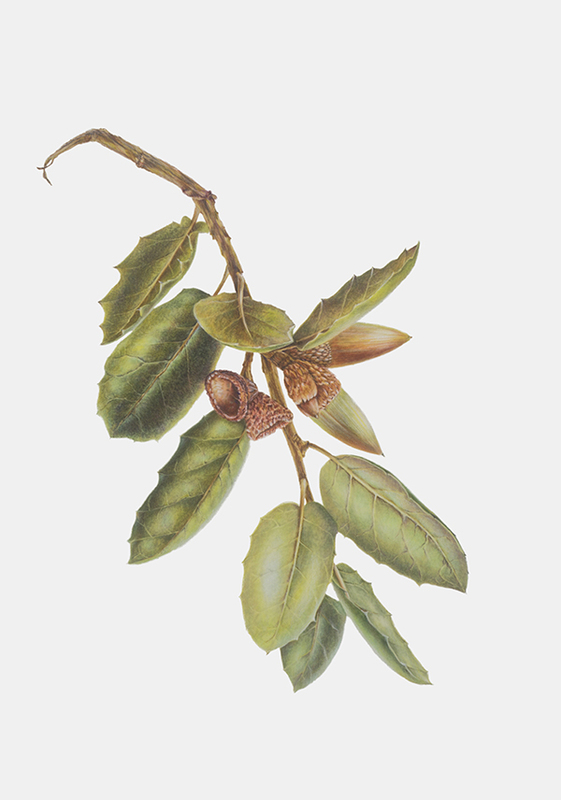 Third place winner Estelle DeRidder used colored pencil to illustrate a native Toyon. 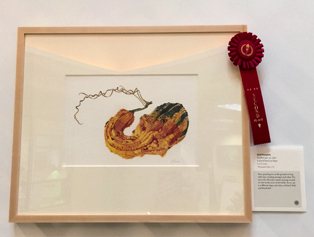 An honorable mention was awarded to Mitsuko Schultz for her watercolor of a California Sycamore. Registration and information for the opening reception at the Santa Barbara Botanic Garden is available on their website. The Island Art Exhibition explores creative practices at the intersection of art and science as a component of the California Islands Symposium. The Islands Symposia have been held every five years since 1965, and present recent work in all disciplines of natural, environmental, and cultural science on the California Islands, which include all of the islets, rocks, and islands off the Pacific coast of California and Baja California, Mexico. This juried art exhibition encourages a greater understanding and appreciation of the unique California Islands. The display features original paintings, watercolors, and pen and ink drawings that reflect the beauty of the islands. The Santa Barbara Botanic Garden is a 78-acre nonprofit educational and scientific institution that conserves California’s native plants through gardens, research, education, and sustainable practices. The Garden was founded in 1926 and is one of the nation’s oldest botanical gardens focused exclusively on native plants. Estelle DeRidder, Helianthus annuus (annual sunflower) with Spinus tristis (American goldfinch), © 2015, all rights reserved. BAGSC member Estelle DeRidder currently has an exhibition at the Theodore Payne Gallery in Sun Valley, California. 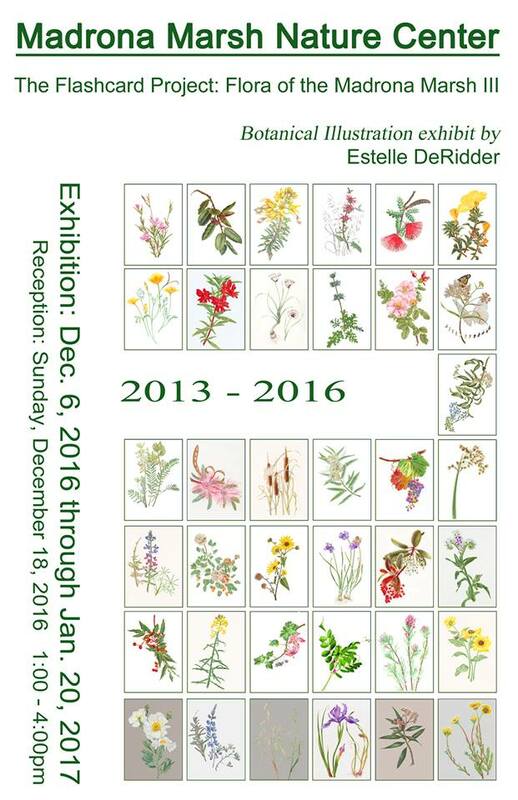 Entitled “California Native Plants and their Pollinators,” the exhibition runs from May 7 through August 20, 2016. Estelle works with a combination of media, including watercolor, colored pencil and acrylics. Her Theodore Payne Foundation exhibition depicts various California native plants, along with their appropriate pollinators including hummingbirds, gray hairstreak butterflies and bees. Estelle also is offering drawing demonstrations the second Saturday of each month the exhibition is open: June 11, July 9, and August 13, from 10 am – noon. The demonstrations are free; no reservations are required. Participants can meet in the Theodore Payne Gallery with hat and water bottle. By popular demand, Estelle has been illustrating and sketching on the grounds of the Theodore Payne Foundation. The Theodore Payne Foundation is located at: 10459 Tuxford Street, Sun Valley, California 91352, 818-768-1802 and is open to the public during business hours, Tuesday – Saturday, 8:30 am – 4:30 pm. The grounds, nursery and gallery are closed Sunday – Monday . The Gallery on-site offers three exhibitions each year, featuring contemporary, modern and historic artists whose work is influenced by our state flora, landscape and natural history. Estelle DeRidder with her artwork in the exhibition. Photo by Clara Josephs, © 2015, all rights reserved. 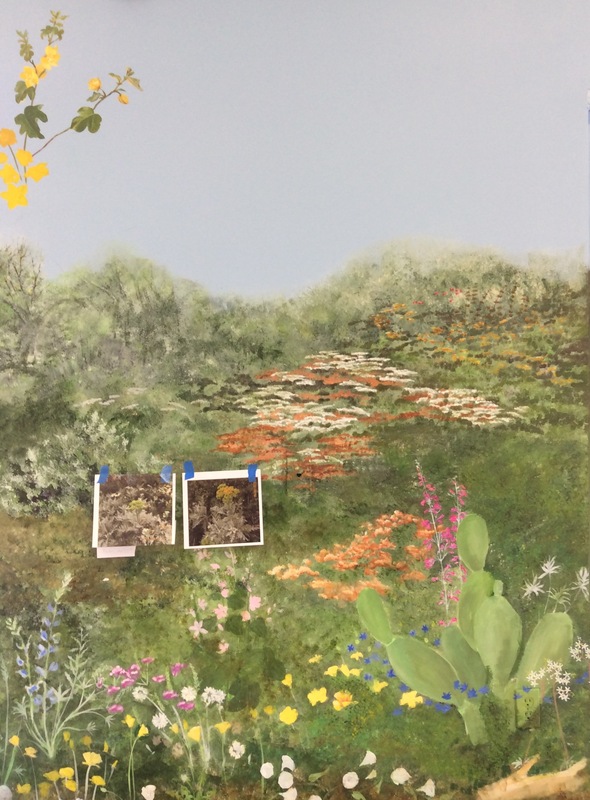 As previously posted here in the BAGSC Blog, Estelle DeRidder held an exhibition of twelve more paintings of California Native species, as an extension of her ‘Flashcard Project’, started through a grant from the ASBA to illustrate the plants of the Madrona Marsh in Torrance, California. The exhibit was open to the public until December 3, 2015. A selection of Estelle DeRidder’s cards at the exhibition. Photo by Clara Joseph, © 2015 all rights reserved. Estelle also conducted an ornament-making session at Madrona Marsh in December, with botanical art and pollinators as the theme. There were 45 participants, who industriously produced 120 ornaments in three hours! Birds and creepy-crawlies were the pollinator species of choice this time around. Participants busy making holiday ornaments. Photo by Estelle DeRidder, © 2015, all rights reserved. Estelle will teach a Spring ornament-making workshop too. Spring will include flowers, trees and shrubs, butterflies and bees, and probably some birds as well (they’re popular). Interested? Email Estelle. Nevin’s Barberry with Bluebird, by Estelle DeRidder, © 2015, all rights reserved. 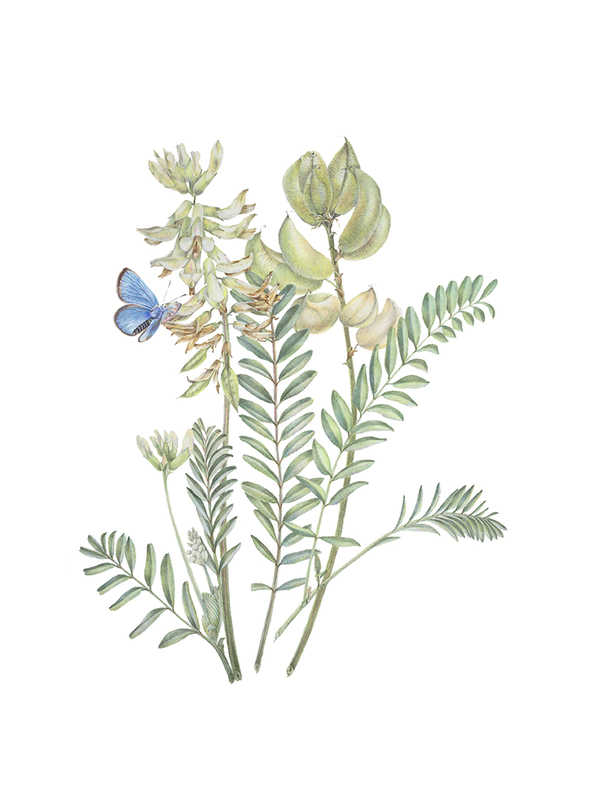 As an extension of the ‘Flashcard Project’ which was started through a grant from the ASBA to illustrate the plants of the Madrona Marsh in Torrance, California, Estelle DeRidder has illustrated twelve more species, which are now on exhibit. The exhibit is open to the public until December 3, 2015, with an opening reception on Sunday, November 15 from 1:00 – 3:00pm. Dessert and coffee will be served. The Madrona Marsh is located at 3201 Plaza Del Amo, Torrance, California 90503, (310-782-3989) and is open Tuesday through Thursday 10:00am – 5:00pm. 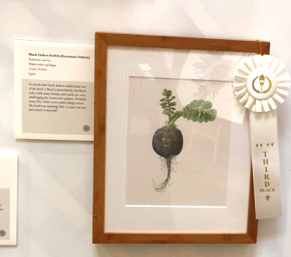 BAGSC member Estelle DeRidder has been accepted into the 18th Annual International Show of the American Society of Botanical Artists (ASBA) at The Horticultural Society of New York too. 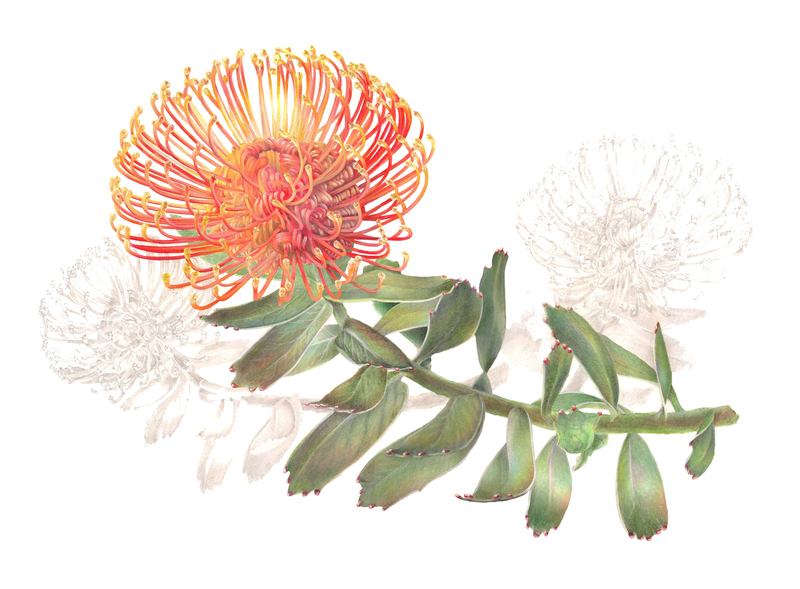 Her work, Leucospermum cordifolium, Pincushion Protea, was done in colored pencil.